Adani Mining has reasserted the prospects of its Carmichael project in regional Queensland as the International Energy Agency (IEA) has reported that coal has made a recent comeback. The IEA, in the World Energy Outlook (WEO) 2018 update, forecast that coal demand in the Asia Pacific would increase by 492 million tonnes (Mt) of coal equivalent by 2040. Adani chief executive Lucas Dow, meanwhile, presented at a Townsville Enterprise luncheon in Queensland yesterday. The event pointed out that based on independent third-party assessments, the Carmichael Mine would be a low cost and highly competitive production within target markets of India and Southeast Asia. Adani last week also reinforced that the Carmichael project would provide over 1500 direct jobs on the mine and rail project as it works towards becoming a 27.5 million tonne a year operation. 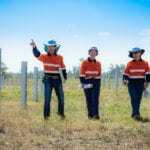 The company added that thousands more indirect jobs would also be created in Rockhampton, Townsville, Mackay and the Isaac region. The WEO report also showed that the rises in coal demand in India and Southeast Asia will offset the decline in China, Europe and North America. 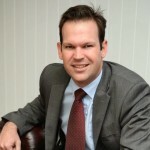 Minister for Resources Matt Canavan pointed out that Australia’s coal industry was well placed to meet the growing demand due to its proximity to these markets. Though renewables make up nearly two-thirds of global capacity additions to 2040, coal remains the largest source, the IEA revealed. Average coal plants in Asia are only 11 years old on average with decades remained to operate, compared to 40 years on average age in the United States and Europe. Canavan also said the IEA had forecast Australia’s net exports of coal to grow by around 20 per cent to 430Mt of coal equivalent by 2040. Half of these exports will be metallurgical coal. The international metallurgical coal market is expanding, particularly in China, where Australia is poised to meet the demand. This will see the development of new coal basins in Australia such as the Galilee Basin in Queensland. The development of new mines, ports and other transport infrastructure there will be required, said Canavan.